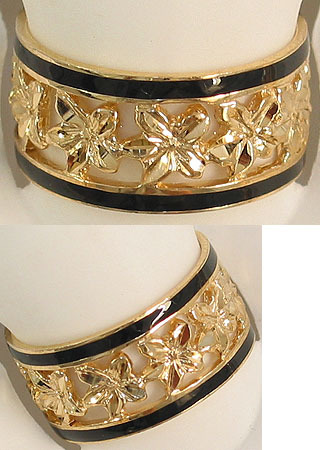 Solid 14k Gold Plumeria Hawaiian Ring with Black Enamel Border. Made in Hawaii. The plumeria design is a hand polished diamond cut, which gives this ring a beautiful glitter.